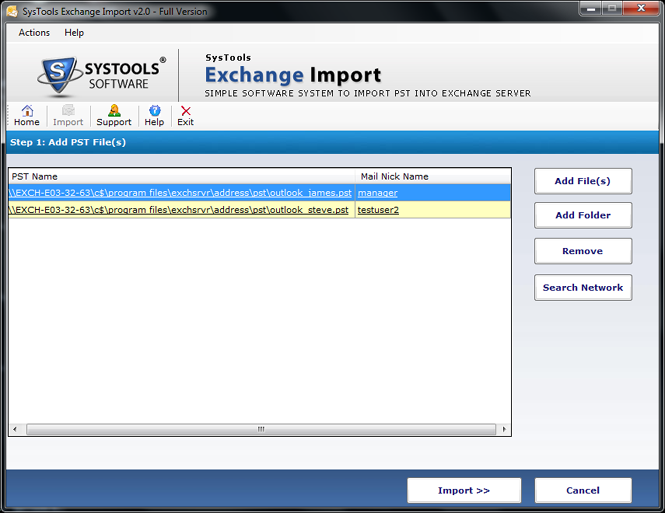 Download and install the tool. 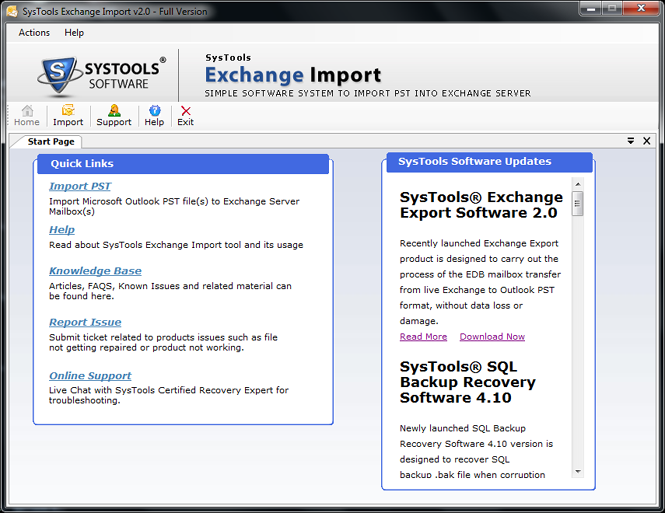 Launch software from start » All programs » Revove Exchange Mailbox Import Tool. Click Import button from top navigation pane of software window wizard. 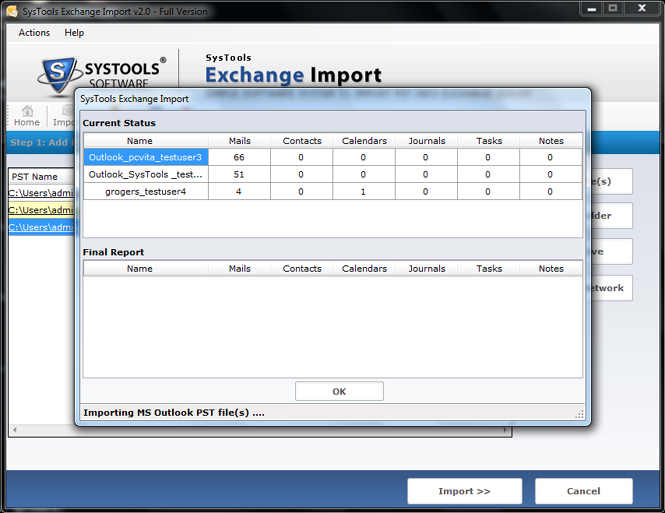 Software will show different options i.e Add files, Add folders, remove and Search Network. 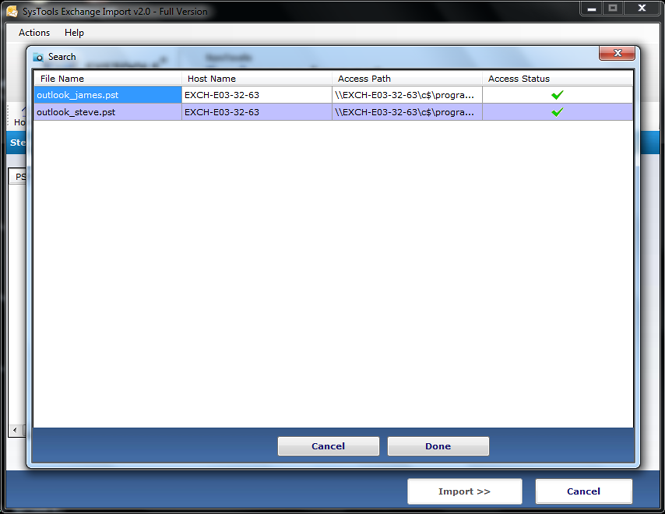 Add files: Adds individual or multiple PST file form your system. 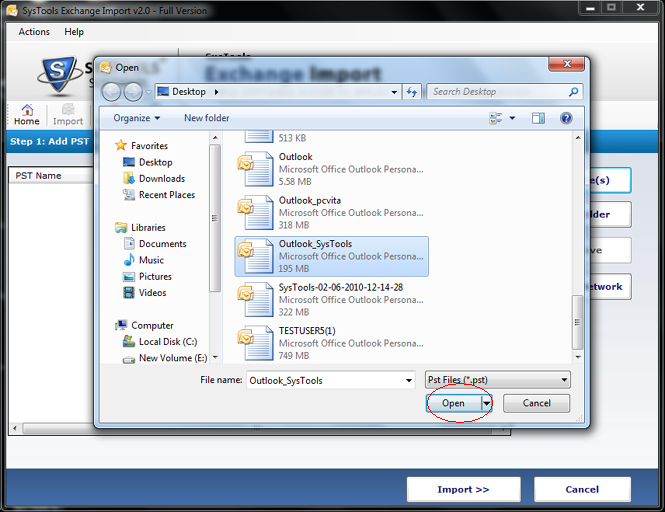 Add folder: Allow to select the folder containing PST files and software automatically add PST from selected folder. Remove: Support removal of selected PST files. Search Network: Using this Option users are allowed to add PST files located at different machine but within same domain. 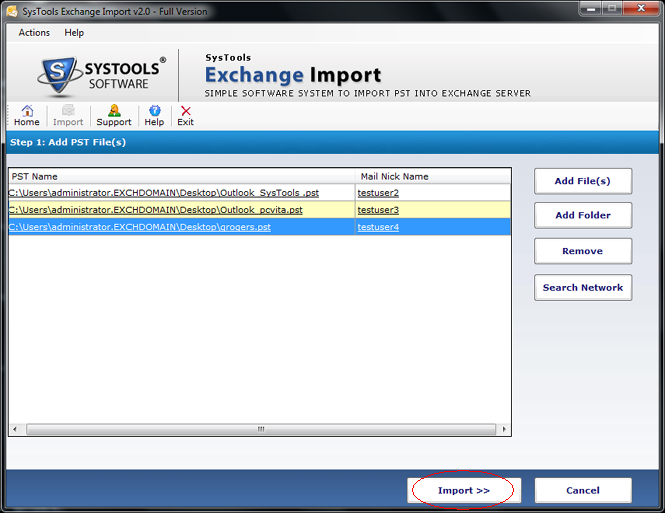 Select Add File button to import desired PST file. 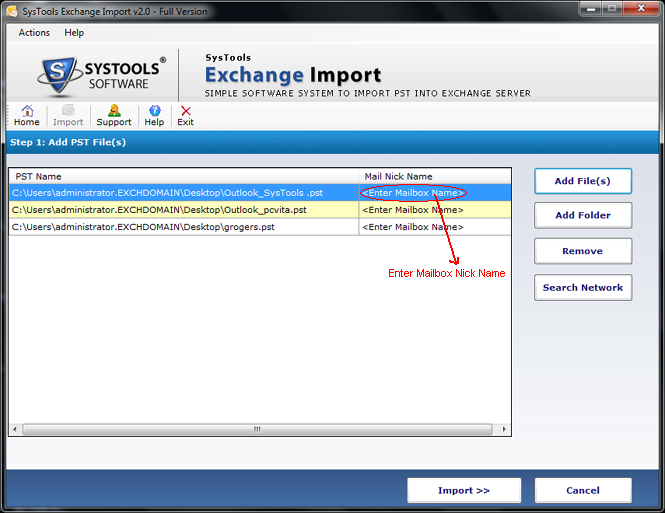 Software wizard will now show all the selected PST files then specify the name of mailbox to which you want to import file under Mail Nick Name column. Click Import Button to begin the process. Software will start displaying current status of PST import process with information's like number of mails, tasks, contacts etc. imported. 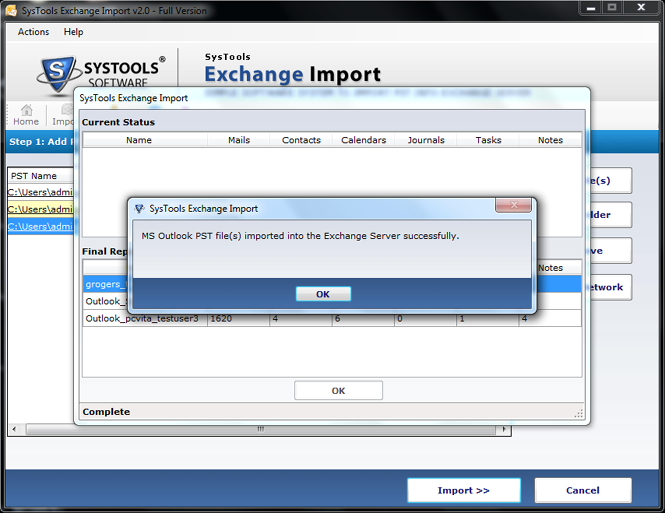 After successful completion of the process the software will pops up confirmation message dialog box. If user select Search Network option then you need to follow given below steps. 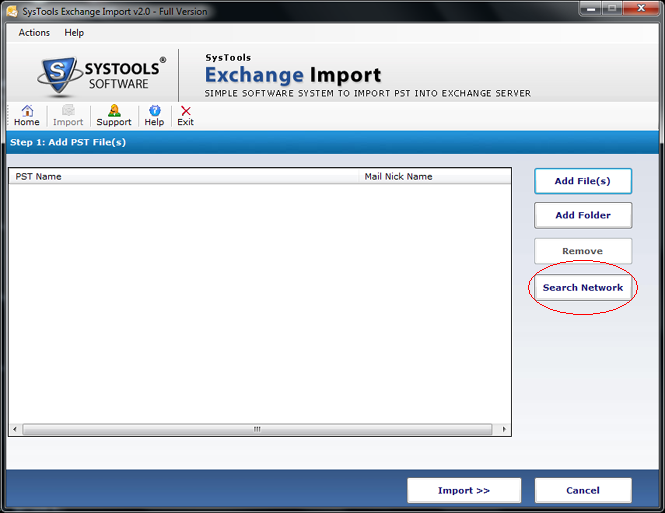 Here Software window wizard will show the name of machines within the same domain that exchange shares with different options like Domain Credential and Search Attributer. 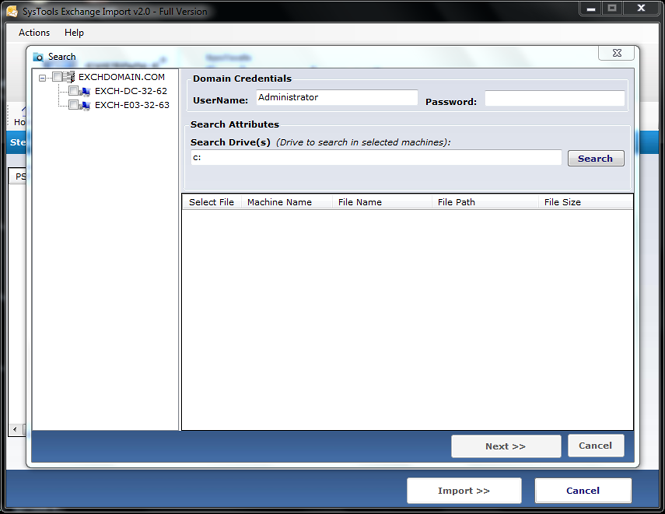 User can select one or multiple machine, specify the domain credentials and search drive attribute. Click Search button, software will enlist all PST file found. From the given list select the appropriate PST file that need to import. Click Next button which will display the access status of files. Now click Done button and proceed with steps from 6 to 8.